I was first introduced to Martin Miller’s Gin by the founder himself. The cocktail in my hand that night was known as a Jimi Cocktail. Named for the iconoclast himself, Jimi Hendrix, who’s music pulsed and grooved around the boite- a gorgeous mid 1800’s era Federalist-style mansion on the periphery of Greenwich Village. The well-appointed bar-room was very private, its lights held down low. This was the genre of a clearly- only in Manhattan experience- one from another era. Mr. Martin Miller was introducing his gin to the guests- but he was not working the room, as much as he was holding court. There were hand-crafted cocktails being assembled on a tiny zinc bar- set just off to the side. Fresh lime, crisp mint, a touch of Demerara Sugar- Martin Miller’s Westbourne Gin in a glass, simultaneously tempered by what seemed like plenty of ice, stirred, strained, poured, supped. But alas after several of these tiny mind pleasers- the overproof gin (in this case the Westbourne) made staying cognizant extremely difficult. The music was swirling, the tiny drink, highly intoxicating and Martin Miller’s ebullient laugh burnt deeply into my memory. There are occasions in life to drink in and this was one that overflowed with each belly laugh to this very day. The key here is to train your staff and taste as many different kinds of gin as you can, (and still stand) and remember their idiosyncrasies and their successes. Gin is HOT. The list can be very short, if you know what you’re selling. Your descriptions should resonate like when you suggest Martin Miller’s Gin. Always with a smile! Gin is jam-packed with flavor. With it comes taste, and each taste should unlock a specific memory- or nostalgia of the first time you tasted it. As I will always remember the gin that my father drank, it was in a green bottle. To this day, every time I see the distinctive shape- I can taste it on my tongue. As I know that even a tiny sip of gin of this will unlock memories. They say history to me. Martin Miller’s Gin does the same thing when I sip it. Each distinctive expression tells a story in aromatics. Not every gin has that honor. Utilizing quality ingredients in distillation is the determinate for me. Full disclosure: I’m probably too hung up on authenticity and ‘hand crafted.’ If you like to know, Martin Miller’s Gin is distilled in England and blended in Iceland- using the best water in the world. Yes, their blending water is from Iceland! Of course I’d know about Icelandic water because over the years I’ve tasted water from many different places. I’ve tasted Icelandic water at the Fancy Food Show, it made a lasting impression on me. The Icelandic water has a purity that comes from rock and fire. Their land is in constant change; the water bubbles up from deep within the surface of the earth: dancing into the air like a pillowcase full of kittens! Martin Miller’s Gin tastes like the terroir of the place. Each sip has the stuffing of classical distilling, in a copper pot still… In England. There is serious fun in each sip, with a history to boot. The Copper Pot Still. Why is this important? For Martin Miller’s Gin, their two very distinct gin recipes are forged together in an ancient copper pot still, hand built at the turn of the 20th Century. To give a correlation to your education, Rum, Gin and Whisky(e) are often produced in these very primitive pot stills. This vessel is sometimes fire heated, although the combination of fire and alcohol often have frightening results, so I’m sure that their heating process is perfectly safe. The unique flavor of the “pot still” imparts a warmer and richer tasting spirit. The flavor is plush and opulent across the tongue. Tinges of cucumber and freshly cut grass predominate their ‘traditional’ example that rolls in at 40% ABV. The Westbourne to me is Christmas in a glass with red fruits, ground pipe tobacco, lemon curd and freshly slashed hay in each elegant sip. I’m thrilled by a Bee’s Knees made with the Westbourne Strength Gin. This lovely Prohibition era cocktail is comprised of Raw Honey simple syrup, Martin Miller’s Gin (Westbourne) and freshly squeezed lemon juice. 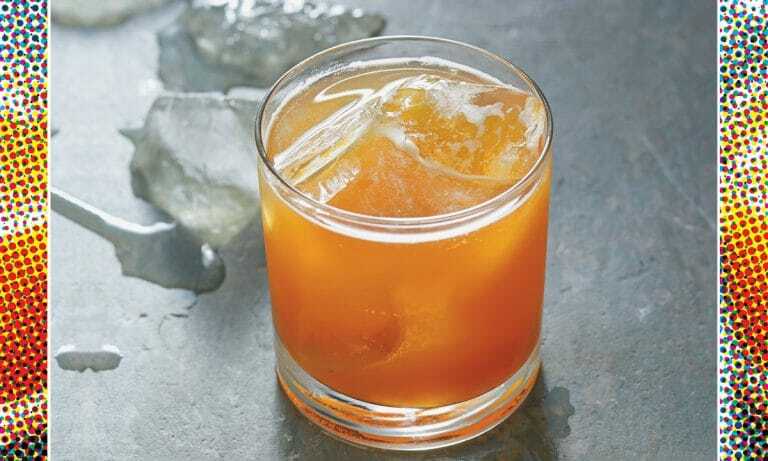 The Bee’s knees should be a go/to for any cocktail enthusiast. For the Traditional bottling, I think of a take on the Jimi Cocktail, made with muddled cucumber, fresh lime juice, simple syrup and a splash of seltzer water the flourish of spicy, slapped mint. Simplicity is the word of the day. The Westbourne rolls in at just over 45% ABV. Keep it simple. Keep it fast. Keep it QUALITY. One drink in particular I’m enjoying right now is with the Martin Miller’s Westbourne Gin. This drink screams Olde England and because of the use of Orange Marmalade and Broiled Grapefruit juice- there is a funky quality that just says: Serious English Fun! This is a take on the classic “Gin and Juice” that you see immediately upon landing in England, should you take the slow boat from New York City. Use in your Martin Miller’s Gin cocktails.